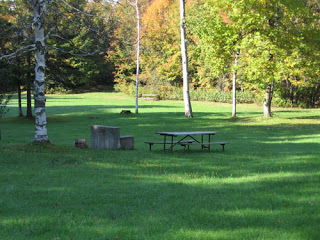 Vermont State Parks is pleased to announce several operational changes at Allis State Park in Brookfield. This park is a favorite for those seeking a quiet experience, great hiking and views, or the perfect spot to share a picnic with loved ones. Two of the biggest changes are that camping is back and day use of the park is now FREE! Camping will return at the park for 2011 after a two-year hiatus. Sixteen tent/trailer or lean-to sites will be available by advance reservation or on a space-available basis. Some campsites have been removed to provide better spacing between sites allowing for more privacy. Other changes: The campground's restroom has running water; however, showers are not available. A sanitary pump-out station for travel trailers and RVs is available. Venture Vermont Starts Friday, April 1st! Its back, and ready. Are you?. 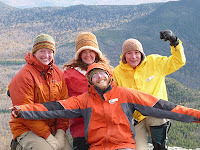 This year's Venture Vermont Outdoor Challenge is better than ever and begins Friday, April 1st. This popular statewide scavenger hunt invites participants to download a score sheet and complete fun outdoor activities. You take photographs of your activities to keep track of what you've done. When you reach 250 points, you send us your score sheet and photos. You will receive a VIP Gold Coin, good for free park entry for the rest of 2011 and all of 2012! You'll have fun and never run out of things to do this summer. Over 350 people participated last year, and we hope you will join in the fun for this year. 1. Fill out one score card per person 2. Take photos of all your activities 3. 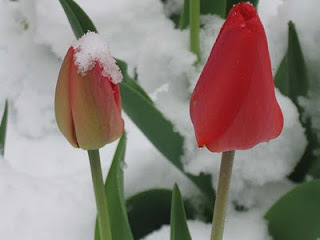 Have a blast! If you love photography and the outdoors, and are looking for something fun and meaningful to do this summer, Vermont State Parks Photography & Video Internships are for you. We need your help photographing campsites, landscapes and park visitors. In return, you'll receive free camping and park passes. Your work will be displayed on the Vermont State Parks website and will used help inspire others to get outside and explore. Many of last year's photographers will be returning again this year. You can view some of their awesome work by clicking on the video in this article, or see the Photography Intern web page. For info on how to apply, please visit our Interships page. A big thanks to our 2010 crew for their great work! Hope to see you out there! This month: Camping Back at Allis State Park, Mud Season Secrets, New Trail at Waterbury Center, Maple Sugaring in the parks and more! Vermont's maple sugar season is beginning! Use freshly made syrup to make this heavenly dessert made at Seyon Lodge below. Preheat oven to 350° F. Combine cream and sugar in a pot. While stirring, heat mixture on medium heat until it starts to just bubble. Remove from heat. Whisk egg yolks and maple syrup together. Slowly add hot cream to egg mixture, whisking to combine. Pour equal amounts of custard mixture into 8 6-ounce custard cups. Put custard cups in a baking pan and fill pan with warm water half way up the sides of cups. Bake in preheated oven for 45 minutes, until custard is set. Custard will be mostly firm but still jiggle very slightly in the center. Remove from water bath and cool in refrigerator overnight (or for 4-5 hours). Custard must be completely set. Green Mountain Club Needs YOU! Help Green Mountain Club achieve Project 10,000 by the end of their centennial year (the end of March) by joining! The club is currently supported by over 9,800 members but has an important goal of having 10,000 members by the end of its centennial year, this month! For anybody who loves the Long Trail and all the other great projects GMC does, it's the perfect time to make a difference! Plus, any new members who join before March 11, 2011 will be entered into a drawing to win great prizes from local businesses. The Long Trail is a rugged footpath that spans the ridge of the Green Mountains from Massachusetts to Quebec, crossing through approximately 120 miles of state lands, including Smuggler’s Notch, Underhill, and Camel’s Hump State Parks. GMC exclusively maintains Camels Hump and Mt. Mansfield State Parks. 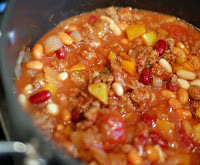 Nothing hits the spot more than a warm bowl of chili on these chilly days. One of the most popular events here at the Department of Forests, Parks, and Recreation is the annual Chili Cook-Off. Five submissions to the Cook-Off made for tough competition; however, one recipe stood out as being worthy of winning 1st prize. Paul Frederick, Wood Utilization Forester, won by popular vote and willingly is sharing his coveted dish. Note: Any left-over vegetables you find in the fridge such as green beans, peas or broccoli all are good to use too.